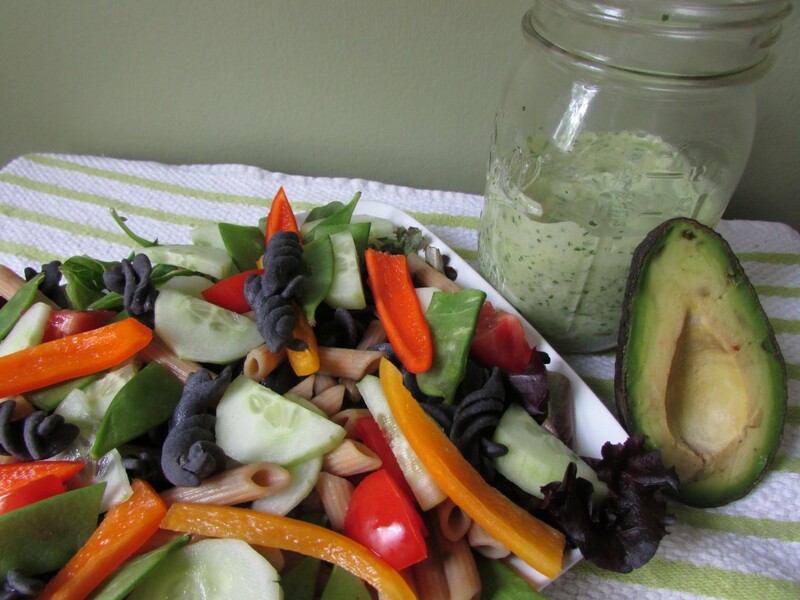 I told you guys here how much I’ve had a craving for pasta salad lately! Call it a pregnancy kick or just a warm weather thing, I’m not really sure! 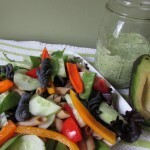 This black bean pasta salad (completely gluten free and vegan) with avocado cilantro dressing is perfectly light and great for the warm weather! 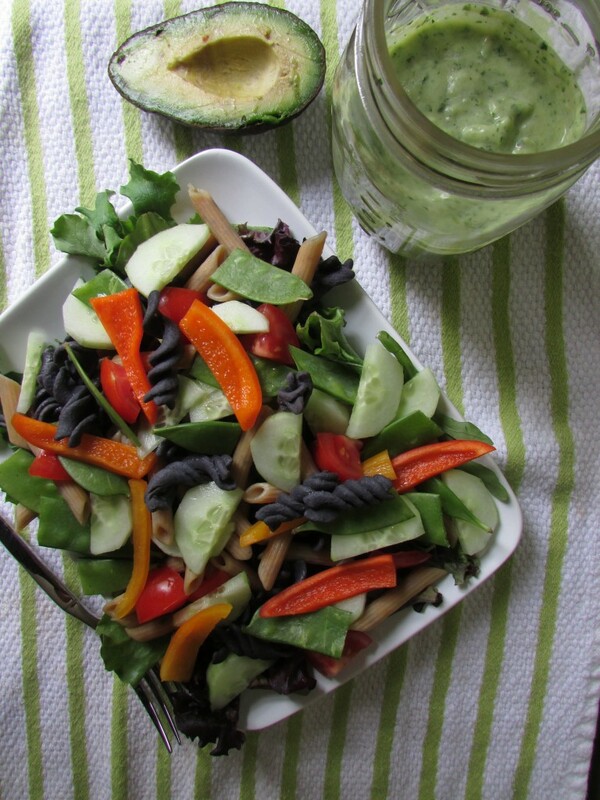 The best thing about pasta salad is you can put anything in it you have sitting in the fridge; veggies, fruit, etc. I’ve also become quite obsessed with tolerant pasta, a pasta made entirely out of black beans (16 grams of fiber per serving!) or red lentils (I did a mixture of both here). Great texture and taste, now if only I could actually figure out how to make this on my own?! They don’t make too many pasta molds out there to make your own pasta other than ravioli! And lastly, one of my biggest hot spots is salad dressing. Have you ever looked at the back of any salad dressings? 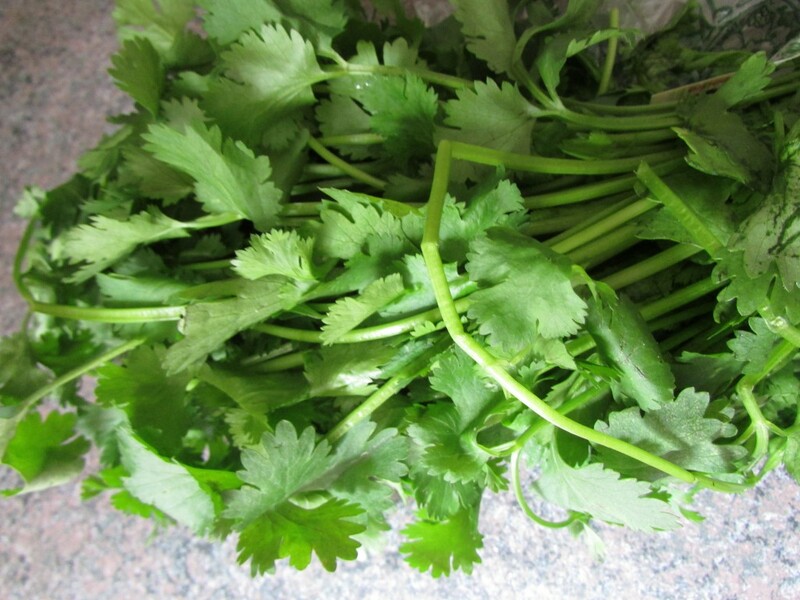 It gets me really worked up when I’m short on time and I have to try to find something to use for salad dressing. Most of the time I end up going back home just to make it anyways. 99% of salad dressing are full of corn syrup, sugar, etc. Not to mention the huge list of ingredients that are completely unnecessary… And it’s so easy to whip up your own dressing! You can make them just as good or better! (you can also try my tahini dressing from my veggie summer rolls) What is your favorite flavor of dressing?